You might not remember when Barbie was President of the United States. A vet. An entrepreneur with a string of high street stores. An astronaut. A Paralympian. A jockey. You might not remember when her body measurements were hateful but Barbie herself could do anything and be anything. 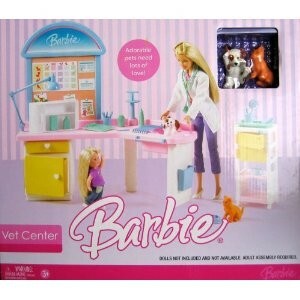 It’s unlikely my kids will remember Barbie this way since she is now either a model, pop star or actress. It’s not that Barbie can’t be President of the United States since a limited edition Barbie for President 2012 doll was produced or that Barbie the Vet is no more, it’s simply that the most easily available versions of Barbie for sale on the high street are fairies, mermaids, princesses, models and popstars; all of which are tied into films and all of that subsequent merchandising. To be fair, I also had Pop Star Barbie; mine owned a record company, spoke 6 languages and had a PhD in archaeology. It’s probably fair to say I was a nerd. It’s not also that I think girls today lack the imaginations to make their Barbie mermaids into something; my small has made her Barbie mermaid into a superhero but Barbie used to be every girl [even with the ridiculous figure]. Now, even with the new more “realistic” bodies, Barbie is actually more limited in terms of careers and adventures. The films may be predicated on the notion of girl power and female friendships, heck Barbie and the 3 Musketeers is practically Germaine Greer-approved, but they are reinforcing an even more narrow version of femininity that is inherently harmful for girls. The opening of the first life-sized Barbie Dreamhouse in Berlin is just further reinforcing the idea of Barbie-as-Object rather than Barbie-the-Adventure-Girl of my childhood. Louise Pennington is a feminist activist, historian and writer. She has been published in the New Statesman and Huffington Post. She tweets about feminism and her cats as @lestewpot. This article was originally published on her blog. Great article Louise! I’d like to put a link to your article in my next blog which is about body image and girls, is that okay? I think it’s quite sexist how boys have action men who can do anything, be an athlete, a aeroplane driver, have adventurous careers when Barbie is only advertised and marketed as a princess and a pop star…I found it interesting reading that Barbie now has better body proportions, I agree with you that this doesn’t do any good when the clothes and roles that they represent are mindless. When Mattel was cutting down the Indonesian rainforest for Barbie’s packaging, Greenpeace campaigned against it, and part of their campaign, was to get people to put Barbie’s around the UK hiding in trees, by rivers and in benches, and attached to their hands was a chainsaw and tags about the campaign. On the Greenpeace website there was a huge live Map of where people were hiding their Barbie’s, and a riddle to help you find where they were. Hi Agi, of course you can link my piece in your blog. I’d be interested to read it when you’ve finished it. Please tweet it to me. Mattel changed Barbie’s body proportions at least 10 years ago now after massive campaigns. The body shape of the dolls still isn’t realistic but it’s closer to the body of a female adult than it was 20 years ago. Mattel have made some great Barbies over the years but it seems they are now chasing the Bratz market instead of returning to their 80s Barbies who were actually quite interesting. 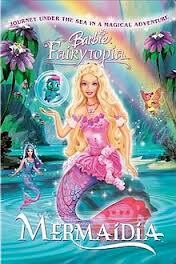 The Barbie films themselves are well worth watching from a feminist perspective. There is lots wrong with them but equally they focus on the importance of girls friendships, respect, kindness and loyalty. Despite being pink and sparkly, they are much more girl-friendly than a lot of Disney movies, especially the Pixar ones. I didn’t know about Greenpeace’s campaign and Mattel’s destruction of the Indonesian rainforest. Thank you for telling me. I will check out your website later.